Recently, Google brought the web-based Gmail feature that allows you send and receive money to Gmail app, and also allows attachments of up to 50MB on Gmail. 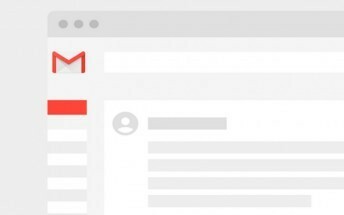 Now, Google is introducing yet another feature to Gmail. Within some few days, Google will be releasing another feature to the Gmail users. The feature will allow video streaming capability for attachments. This means you will no longer be required to download a video attachment in order to watch it. You can now watch video attachments right on Gmail. When the feature is finally rolled out, anytime you recieve a video attachment, you will see the thumbnail from the clip. And when you double-click on that, the content will just start streaming inside a video player that's very similar to the one YouTube uses. This lets you adjust the playback speed and videos are delivered by default at optimal quality. It has the same streaming functionalities as seen on Google Drive and YouTube. Stream video attachments on Gmail. You can now stream videos sent to you via Gmail. Gmail can now stream video attachments. Maybe they haven't posted the update or Na you never download am.